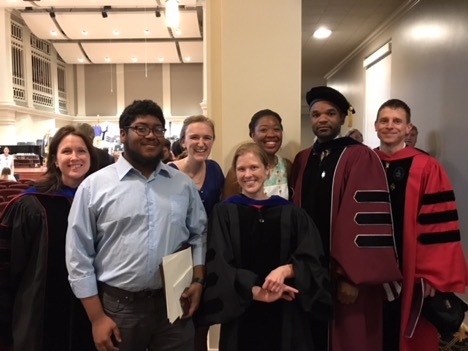 L-R: Professor Leslie Petty, Justin Davis, Eilidh Jenness, Professor Caki Wilkinson, Brittney Threatt, Professors Ernest Gibson and Scott Newstok. The Cynthia Marshall Award was created in 2005 by family and friends of Professor Cynthia Marshall. 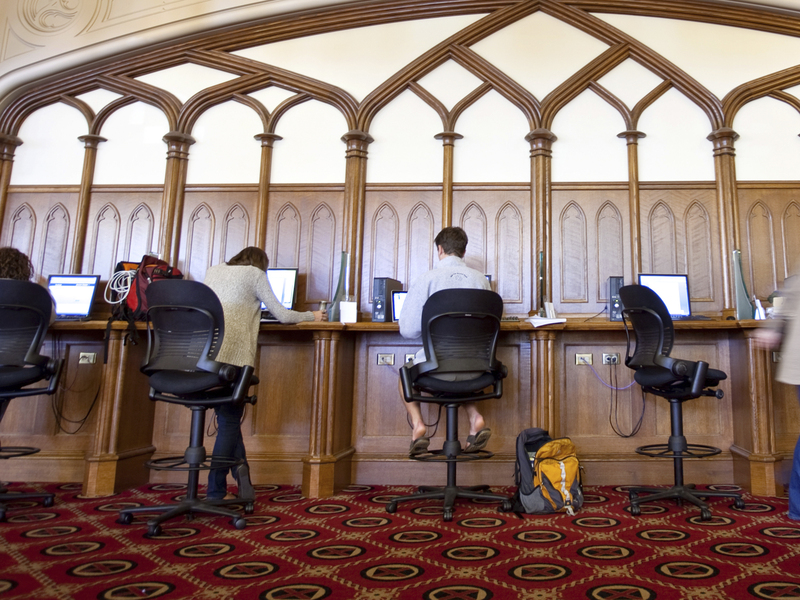 The award is given to the most deserving senior majoring in English who is pursuing graduate studies in any field in the humanities.The Jane Donaldson Kepple Writing Prizes are awarded annually to four students for excellence in writing as judged by a committee of faculty members. The awards are given in four categories: Freshman English Essay; Senior English Essay; Poetry, Fiction, and Drama; and Scholarly Essay. These prizes were established in 1985 by Thomas R. Kepple, Jr. in memory of his wife. Kudos to graduating English major Michael Gossett!! At the 2010 Honor′s Convocation, Michael garnered an impressive three awards in honor of his accomplishments as an English major. In addition to the Jane Donaldson Kepple Writing Prize for Senior English Essay and the Jane Donaldson Kepple Writing Prize for Creative Writing - Poetry, Michael also received the Cynthia Marshall Award for most outstanding graduating English major. After commencement, Michael is headed to the University of Maryland for graduate studies in English.